IRNA – Some 46 Iranian pilgrims died during the Arbaeen mourning ceremony in Iraq, an Iranian Insurance official announced in this central Iraqi city of Karbala on Wednesday. 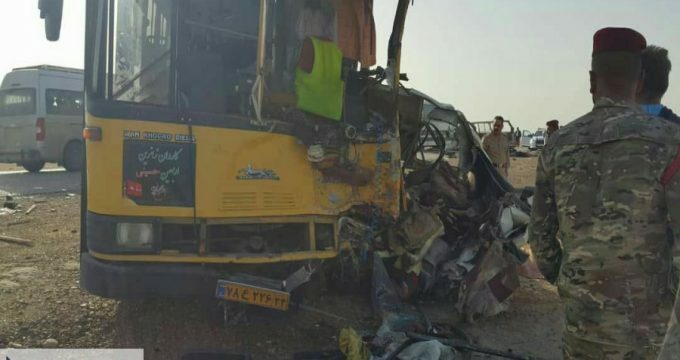 Some 15 of those pilgrims lost their lives on natural death and the rest due to road incidents or other reasons, Abdolnabi Saedi told the Islamic Republic News Agency (IRNA). About the gender of the dead, the official said 35 of them were men and 11 were women. Also, 250 pilgrims have been hospitalized and received treatment in the Iraqi cities in recent days, Saedi added. The Arbaeen mourning ceremony is one of the largest religious gatherings in the world. It marks the 40th day after the martyrdom anniversary of the grandson of Prophet Mohammad (PBUH), Imam Hussein (AS), the third Imam of Shia Muslims. In 2018, about two million Iranians left for the neighboring country of Iraq to attend the Arbaeen ritual, Saedi said.